Crawfest 2019 - Presented By: The Thomas E. Jernigan Foundation. Birmingham Zoo. 5:30 - Until. 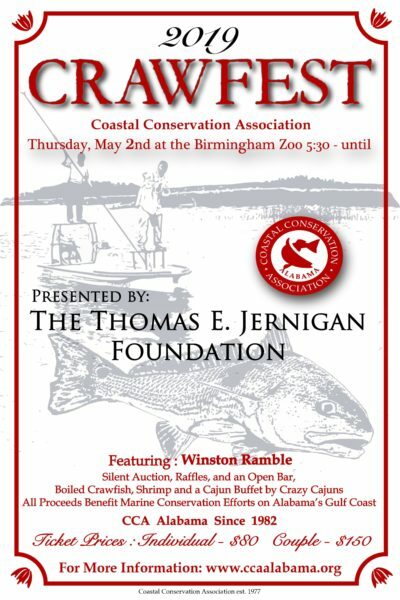 Live Music by Winston Ramble, Silent Auction, Raffles, Drinks, Crawfish, Shrimp, and a Cajun Buffet by Crazy Cajuns. All Tickets include a 12 month CCA AL membership, food, and drinks.